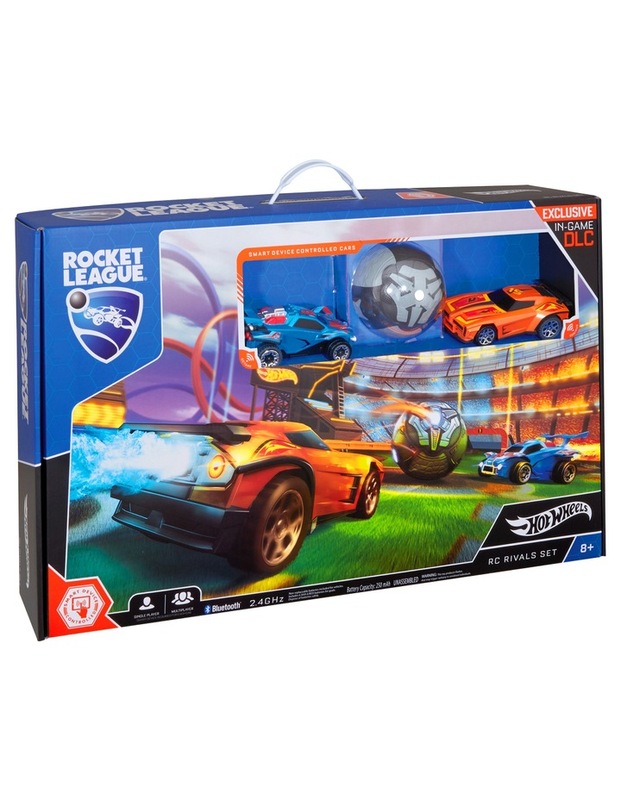 Bring the wildly popular Rocket League. 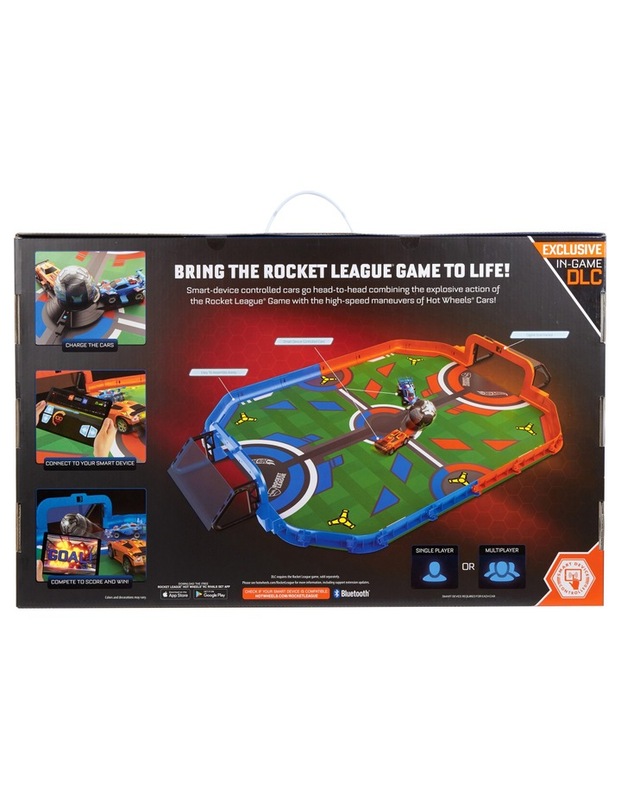 video game to life with the adrenaline-fueled action of Hot Wheels cars. Ready to battle in the high-tech arena. 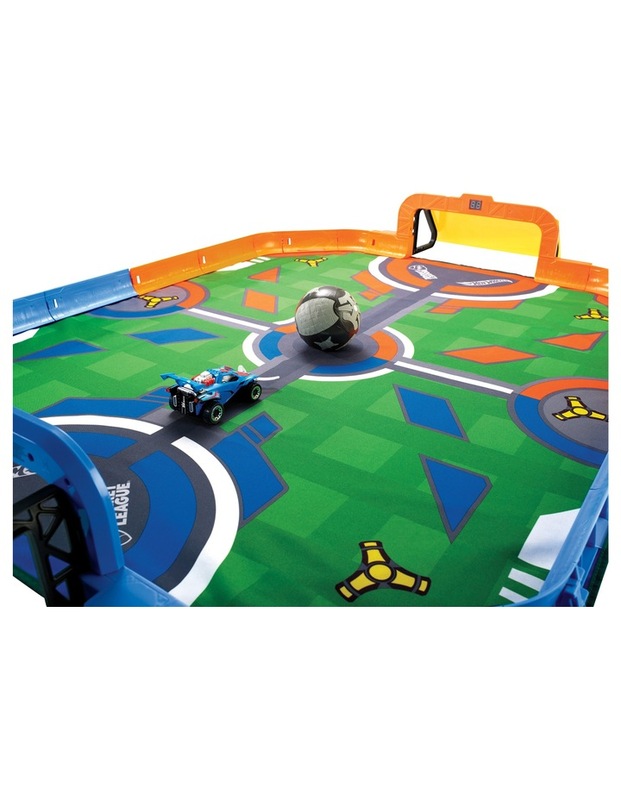 Players control RC vehicles with their smart devices as they speed, stunt, and crash across the field and try to smash the huge ball into their goal. Score. Who will rack up the most points before the clock runs out. Use your device to keep score, add turbo boosts, and power your way to victory in the ultimate soccer showdown.